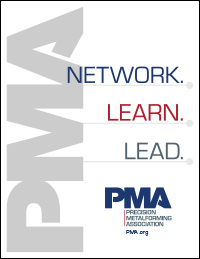 Each month, the PMA Member Spotlight features an outstanding member sharing his/her insights into the latest industry trends and technologies. PMA is pleased to highlight Erica Wiegel, president of ARO Metal Stamping, Roselle, IL. The company is a turnkey source for low-, medium- and high-volume precision metal stampings and assemblies, from prototype through production — heatsinks, shields, covers, clips, springs, brackets and more. ARO Metal Stamping serves many industries, including aerospace, defense and automotive. Read Erica's thoughts about what’s on her wish list in 2016, what keeps her up at night as a metalformer and more! Q: What is on your wish list for your shop this year (i.e., a new piece of equipment) and why? A: Grow my business by 50 percent, because of my personal and aggressive competitive nature. Q: What do you see as a technology game-changer for metalformers? A: Vision systems, sensor technology and automation. 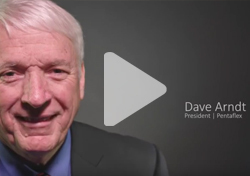 Q: What would be on the agenda of your ideal metalforming conference? A: Owners roundtable. How to get more companies involved and active within their organizations. Q: As a metalformer, what keeps you up at night and why? A: Factors that are out of my control i.e. skilled worker shortage, and all forms of insurance. Q: What was the best piece of business advice you were ever given? Q: If you could have a dinner party with three famous people (living or dead), who would you invite? A: Grandfather Otto Wiegel – founder of Wiegel Tool Works, Princess Diana, Mother Theresa.